This keynote presentation will focus on the challenges and opportunities imposed on wireless communications technologies by the emerging and explosive needs of the future Internet of Things. We will describe the ICT Infrastruc­ture developments needed to support these new requirements, and identi­fy broad open wireless research topics which help catalyze innovation af­fecting our industry. In particular, among other topics, we will deal with the new requirements imposed on IP mobility, and on technologies responding to these requirements, we will consider the need to support and manage non-homogeneous, multi-homed, highly lossy wireless connectivity, and will highlight the potential roles of Distributed Computing and of Network Coding in this domain. 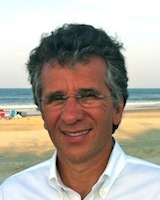 Flavio Bonomi is a Cisco Fellow, Vice President, and is the Head of the Advanced Architecture and Research Organization at Cisco Systems, in San Jose’, California. He is co-leading (with JP Vasseur) the vision and technology direction for Cisco’s Internet of Things initiative. This broad, Cisco-wide initiative encompasses major verticals, including Energy, Connected Vehicle and Transportation, Connected Cities. In this role, with the support of his team, he is shaping a number of research and innovation efforts relating to mobility, security, communications acceleration, distributed computing and data management. Before joinig Cisco in 1999, Flavio Bonomi was at AT&T Bell Labs, between 1985 and 1995, with architecure and research responsibilities, mosty relating to the evolution of the ATM technology, and then was Principal Architect at two Silicon Valley startups, ZeitNet and Stratum One. Flavio Bonomi received a PhD Electrical Engineering in 1985, and a Master or Electrical Engineering in 1981 from Cornell University in Ithaca, New York. He received is Electrical Engineering Degree from Pavia University, in Italy. Victor Bahl, the 2013 SIGMOBILE OCA winner will share his perspective on the past, present, and future of mobility research; the different roles of industry and academia research; and what he has learnt from it. Victor Bahla principal researcher and the director of Microsoft’s Mobility & Networking Research. He believes that he has one of the best jobs in the industry - pursuing untethered research, managing amazingly brilliant researchers, and helping shape Microsoft's long-term vision related to networking technologies through research, industry partnerships, and associated policy engagement with governments and research institutions around the world. His personal research spans a variety of topics in mobile computing, wireless systems, cloud services and datacenter networking & management. Over his career he has built many seminal systems, published prolifically, authored over a 100 patents, won many honors and awards, and engaged in significant professional and company-wide activities that have created lots of research leaders. Of all these, the one that he is most proud of, that make him most happy, is the role he played in founding SIGMOBILE. When not working, Victor loves to read, travel, eat in fine restaurants, watch competitive sports and action movies and spend time drinking with friends and family. Bridging the Chasm: Whose Job is it Anyway? There is a gentle progression from theorization, to design, to implementation, integration, and eventually to deployment in any research project. The "chasm" between the theoretical end and the deployment end can sometimes be very large. Often it is easy for us, as researchers, to approach this chasm but not cross it. In this talk, I will draw on some of my recent and ongoing research projects to explain why I have found it rewarding to cross this chasm (even in small ways) when possible. Suman Banerjee is an Associate Professor in Computer Sciences at UW-Madison where he is the founding director of the WiNGS laboratory which broadly focuses on research in wireless and mobile networking systems. He received his undergraduate degree from IIT Kanpur and was a Gold Medalist awardee in his graduating class. He received his MS and PhD degrees from the University of Maryland. He is a recipient of the NSF Career Award. 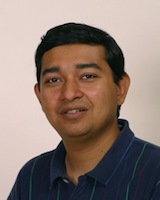 Prof. Banerjee has won multiple best paper awards including at MobiCom 2009 and at MobiGames 2012. Research led by Prof. Banerjee has won other accolades including the grand prize at the Wisconsin Governor’s Business Plan Competition in 2011 and the second prize in the Interdigital Innovation Challenge in 2012. In this presentation, Dr. Henry Tirri, EVP & CTO of Nokia and UC Berkeley will discuss insights into the social and scientific implications of the technology trends being driven by the rise of large scale multi-device cloud-based computing. The cloud has already fundamentally transformed everyday experiences visible to consumers through their access to streaming media, social networking and location services via multiple different computing devices, from phones and tablets to connected accessories. As bits continue to eat atoms, more elements of the physical world will turn first into code and then into code that lives in the cloud. This is driven by the enormous advantages in sharing, indexing and elasticity of computing code has with respect to physical objects. We have seen this happening to photos and videos, music and books, but this is only the beginning. Consumers will increasingly turn to connected experiences that will in turn produce a wealth of data at a at rate unprecedented in the history of mankind. Due to the pervasiveness of this change, the next phase of the cloud era will see increased partnerships between public and private sectors around long-term technology trends in areas ranging from urban planning to health care. It can be anticipated that connected hardware will continue to diversify, with an increased emphasis on "multi-sensing". Wearables, sensor clusters in vehicles and smart devices, and independent sensors will all become first class citizens of the cloud: both feeding data into it and drawing it back out again. We will look at one exciting example of this trend -- indexing of the real world made possible by global scale location services. We argue that ultimately computing will totally de-centralize and live throughout a heterogeneous cloud-based architecture, but energy will continue to be the "One Ring to Rule Them All," that will define where in the cloud the execution happens. Dr. Henry Tirri is Nokia’s chief technology officer and executive vice president, responsible for setting Nokia’s technology agenda, now and in the future, driving core innovation to enable business development opportunities. 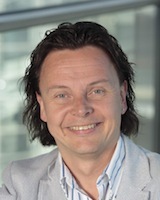 He joined Nokia in 2004 and was named to the Nokia Leadership Team in September 2011. He reports to the CEO. Henry began his Nokia career as a Research Fellow and led NRC Systems Research before being appointed as the Head of NRC. He has extensive experience in running research activities in the fields of intelligent systems. His personal research interests span AI, information theory, search technologies and wireless sensor networks. Before joining Nokia, Henry was a Professor of Computer Science and Head of the Graduate School and the Intelligent Systems Laboratory at the University of Helsinki, leading a world-class research group in probabilistic modeling. Prior to that, Henry was a Visiting Scholar at the University of Texas at Austin; Research Scientist at Microelectronics and Computer Technology Corporation (MCC); Member of Technical Staff at AT&T Bell Laboratories; and Visiting Scientist at NASA AMES, where he contributed to the Mars Rover technology for the 2003 mission. Henry has been a Visiting Professor at Stanford University and the University of California at Berkeley. Most recently appointed as an adjunct professor at the University of California at Berkeley. 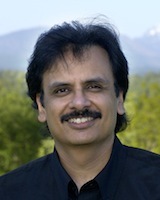 He is the author and co-author of more than 175 academic papers in various fields of computer science, social sciences and statistics and holds five patents. Henry holds a Ph.D. in Computer Science from the University of Helsinki, Finland.